Volvo SUV's compete with some of the finest automobiles from Mercedes-Benz, BMW, Land-Rover, Lexus, Infiniti, Audi, and Acura. Each of these manufacturers produce outstanding sedans and SUV's. Additionally, each year the automotive press and industry organizations choose the vehicles that they believe are the best of the best. In 2018, those awards were overwhelmingly awarded to Volvo vehicles. In 2019, the parade of all-new vehicles for Volvo continues with the all-new Volvo S60 Sedan. Graced with similar styling to the flagship S90 sedan, the S60 is already receiving high praise from consumers who have seen and driven the all-new Volvo 4-door. Take advantage of transparent pricing on the entire Volvo line-up during Volvo's annual Spring Sales Event. Offered exclusively by Volvo Cars Cincinnati North, Friends & Family Pricing is the same No-Hassle, Up-Front Pricing that we normally reserve for employees and for an employee's "Friends & Family". It includes the national rebates and incentives and is clearly marked on every new Volvo Car and SUV on our website. It's the first step in simplifying and expediting your purchase of a New Volvo from Volvo Cars Cincinnati North. Exclusively offered by Volvo Cars Cincinnati North, Life Care Plus Protection will repair or replace - at no cost to you - any covered part that malfunctions or fails (subject to some exceptions) that are not covered by the Manufacturer's New Car Warranty for as long as you own the vehicle, provided that you follow the factory-recommended schedule for regularly scheduled maintenance, AND have that scheduled maintenance completed here at Volvo Cars Cincinnati North. The award-winning line-up of 2019 Volvo SUV's clearly outclass competitors like Mercedes-Benz, BMW, Land Rover, and even Lexus. In terms of automotive industry awards and ownership benefits, there is no other manufacturer who even comes close. But Volvo Cars of Cincinnati North raises the bar even further with Life Care Plus. 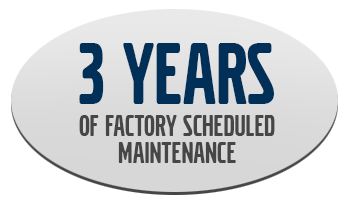 All Volvo Cars and SUV's come standard with your first 3 years of factory scheduled maintenance included! This means you won't have to pay for any regularly scheduled maintenance on your new Volvo for 3 years. Oil changes, tire rotations, quite frankly everything recommended by Volvo in your Maintenance Booklet is included with your purchase or lease.